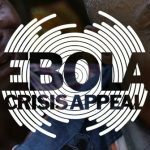 Fantastic Response to Ebola Appeal! Not only did we raise £6,300, but the Manx Government have agreed to send £100,000 from their emergency funding pot to help with the Ebola outbreak. Thank you to all who collected in Douglas, Peel, Port Erin and Ramsey – and to those who co-ordinated others. I hope it will be a long time before we need to call on your help for the next DEC Appeal. If you live in Castletown or know of anyone who could help there, please let me know.